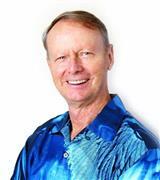 John “Jack” Tyrrell has over 35 years of successful working experience on Oahu, a well-established database of resources, and has equipped himself with the skills and mindset to help his clients attain their financial and lifestyle goals through real estate. As a Realtor®, Jack draws on his prior professional CPA experience when advising his clients on their real estate investment needs. But it is also Jack’s negotiating skills and perseverance combined with his creativity that truly enable him to make his client’s goals a reality. Jack Tyrrell & Company, Inc. is a full-service real estate firm that specializes in luxury real estate on Oahu particularly in Honolulu and the North Shore. Jack has in-depth knowledge of Hawaii's real estate market and has earned a particularly impressive sales record with high-end luxury condominium residences in the Ward, Kakaako, Ala Moana, and Waikiki neighborhoods.